So, you knew it was going to be hard, but you didn’t realize just how hard. Am I right? Whilst your partner sits on the couch watching suits you’re adding tweets to your buffer account, re-working your packages landing page whilst thinking about your next client project which kicks off tomorrow morning. Yet, after all those hours invested, all the time spent being busy on your business, when you dare to look at your bank account, it doesn’t seem to reflect the blood sweat and tears you’re putting in..
Maybe you’ve even had a couple of conversations lately about it. Your partner is starting to question whether you’ve got this thing down and you can’t bare to admit it, but so are you. How can I be so accurate with this story? Because this used to be me!! Before I set up Business Jump and shifted my business model to one which allows me to make 6 figures whilst having freedom in my day – I was a freelance web designer. Although I did get my freelance web design business to the point where I was making a decent salary, I never managed to get the point where I didn’t feel totally drained. 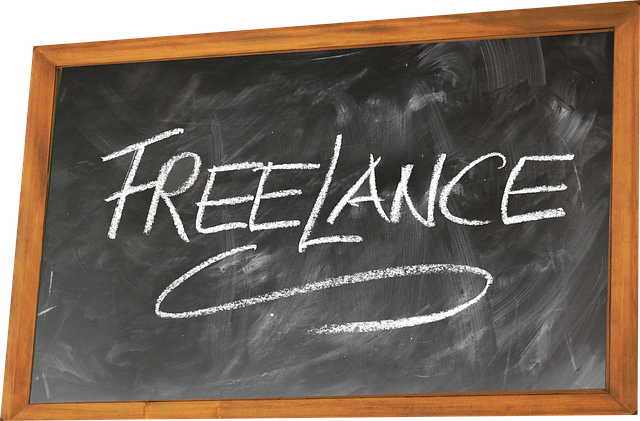 As a solo, freelance web designer, you are solely responsible for the work delivered. This means that you are trading your time for money. This can be positive, you don’t have any costs to pay and after tax, your profit is your own however there are challenges. Financially stability is key, through Business Jump I still provide websites, I’ve just shifted my business model to one which allows for more freedom and more importantly, reliable income. Pricing is challenging for all new business owners, it is a combination of awareness and gut instinct which dictates the right pricing. Are you looking at the details of how much your product or service costs to deliver? Instead of just counting the number of hours it takes to deliver the work, you must also factor in the time and cost it takes to acquire each customer. You should also consider the time it takes to service each customer with admin, research and email communication. As time goes on you will learn more and refine your pricing accordingly, just make sure that for each project you take on you document the time each activity takes you. Many new business owners feel as if they don’t have the experience to warrant setting a fair price for their work. With a lack of portfolio and case studies to show prospective clients it can be difficult. Most business owners want to provide genuinely good value and great results for work delivered. But cutting prices isn’t the right way to go about ensuring you are delivering value. Most business owners would prefer to pay slightly more if they know that the result is going to have a positive impact on their bottom line. So focus first on what you need to do to create the value, and then price it. Always check the competitors operating in your space and find out what services they offer and for what price. This exercise isn’t about setting your pricing lower than everyone else, it’s about positioning yourself effectively for the right type of client. Perhaps there are lots of options for full, bespoke website design, but a lack of services which offer an off the rack website which takes less time to deliver and is modestly priced. Competitor research can pull up all kinds of findings which can deepen the knowledge of your market and improve your offering. You may feel as if you can’t afford to hire support, that’s only once you get to a certain point in your business. But if you find yourself burnt out and unable to work on your business, that is a sign you need to start hiring some support. In today’s economy you can get support from as little as $100 per month. For this price you could hire someone to manage one of your social media channels for example. For $200 per month you can hire someone to manage your Guest Blogging and Online PR. When you hire out activities like this, it frees up more than time spent executing tasks. It also frees up brain space. You only have a limited amount of tasks you can execute well on and dedicate time and energy into improving. Meyer has said “that even brief mental blocks created by shifting between tasks can cost as much as 40 percent of someone’s productive time.” source. Multi-tasking due to too many activities going on at one slows us down. If you really can’t find the budget for outsourcing to a team member, there are a ton of free and paid business tools out there which will help you to automate and speed up your processes. If this is the case for you, don’t worry, it’s fixable. The first step is to identify the issue, look at it without judgement and then make a plan to fix it. If you are currently making money only by trading time for money, then this could be a sign that your business model needs some fine tuning. Ask yourself; How can I serve my customers & provide value without being physically present? How can you take your time out of the equation? Because, that is the key. The more time you free up for yourself, the potential there is in your business to make more profit, and the less burnt out you will be. Information products are a great way to do this, it is possible to make an additional $100,000 per year, and more from adding them to your service based business. You could start with very small improvements and offer them for to build your email list. Are you consistently asked the same questions over and over again? Instead of replying with the same content to different people, why not create an FAQ and link the resource? Not only will this save you tons of time. It will also provide a better service. Your potential customer might have other questions they wanted to ask but they didn’t even know! When they read your in depth FAQ they are going to find out so much more information and detail than if you just answered their question. See if you can write down several ways you can free up your time by removing yourself from serving your customers. Natasha is an Australian 6 figure female entrepreneur and founder of Business Jump. She shares tips, tools and techniques to help mums who want a life of freedom and profit. Join over 6,000 supportive mums in her Private Facebook Group for WAHM’s with smarts.